Response to the article: “A Teacher’s View on Tenure”. 1. It was written by a teacher. 2. She is a department chairperson. 3. A teacher working in the Los Angeles USD (LAUSD). 4. It is a “different” discussion concerning teacher tenure. I greatly appreciate that this article is written by a teacher; and that she does not rely on some of the old tired, and false clichés of “protecting academic freedom”. 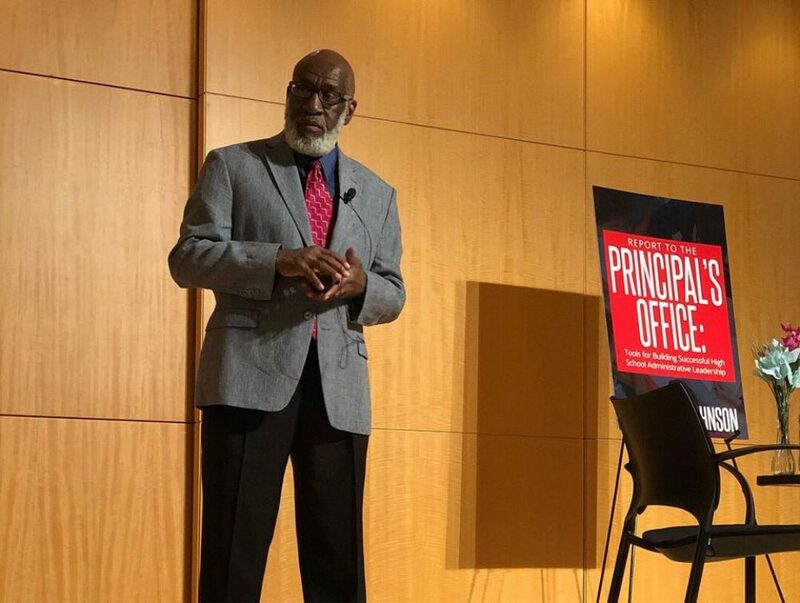 I won’t speak for all superintendents but in my experience (and in my own principal experience); I did not see principals rushing to get rid of teachers who were effective in the classroom; and thus aiding in the principal’s own “professional survival”! One of the great myths in public education is this idea of this drive on the part of principals of trying to get rid of good (effective) teachers. For sure, I have seen some principals who were ineffective in the role of being good school building instructional leaders; or some even not very good at being good building/staff/people managers. But these few people don’t make the case for the need for teacher tenure in the K-12 world. It would be much more productive, educationally (for the sake of the children), to professionally develop, or (if that fails) remove these ineffective principals. The response to a “bad” principal is not a bad regulation that would allow ineffective teachers to essentially keep a job for life, regardless of the quality of the professional product. Further a lengthy, expensive and distracting process of removal for reasons of incompetence, and in many cases criminality is also not in the best interest of a resource strapped public school system. It is important to note that the writer is a departmental chairperson. This fact goes a long way in understanding her thoughtful take on tenure as a teacher. (For those who may not know) As a departmental chairperson she has no doubt gained the respect of her peers, and administration for her effective classroom practice; why is this important? The discussion of tenure among educational professionals is almost always related to a: “personal situation” (Our stand on the topic is often based on where we stand professionally!). As a principal (and my entire professional life) I actually never thought about tenure; my focus was on the pursuit of professional excellence; “how well were the students doing?” was my primary question. Now, my life perhaps would have taken a very different professional, and monetary turn if I had been more of a “careerist”; but I make no apologies, and have no regrets, as to my singular focus on students. Further, the best (most effective) teachers I have supervised cared less about tenure, and more about their students succeeding academically. And the “best of the best” actually wanted to be challenged to improve their practice. Also important, effective teachers were not “impressed” with colleagues who were “poor performers” or “slackers!” The most effective educators I have encountered over the years; have in a sense, been driven by a set of core ethics; these ethical values would produce a great deal of discomfort on the part of that teacher, if students were failing, and they were just “collecting a check”. At the same time these individuals wanted to work in an environment where the leadership practices and evaluations, were driven by school building leaders with knowledge of teaching and learning standards; and who also evaluated them through a code of professional ethics. No professional should be judged by arbitrary, or unprincipled standards. I actually believe that the two principles of: “Do no harm to children”, and the good professional and ethical treatment of teachers can be balanced; but it would take a little more intellectual and political courage then has been displayed so far in this national conversation on teacher tenure. One of my primary critiques/concerns of the entire “teacher tenure” conversation is its limitations. This is due in large part to that fact that the conversation is being led to a large extent (on both sides) by people who have little, to no experience in the actual practice of school based teaching and leadership! Or, on the other hand by people and organizations who don’t have the educational interest of the children as a primary (not accidental) objective of the entire public education effort. This misguided conversation is also taking place in an atmosphere where the “solutions” to pedagogical problems are “oversimplified”, “sloganized”, and “dumb down”; or in the case of some printed journalistic efforts: insanely and provocatively sensationalized. And it is this: “one act solves all educational problems” approach that is responsible for so much harm, and misdirected behaviors presently at work in the profession. This confusion further contributes to a primary reason that public education continues to fail, and in particular, fail children and communities of color. Unfortunately, these same theoretically deficient “ magic-bullet solutionneers”, just take turns, by ascending and descending into, and out of power; and so we never get at the fundamental problems that cause so many children to not have a positive public educational experience. Some very well-meaning folks have invested time-effort and money in legal challenges to state teacher tenure laws (thus the LAUSD point). I agree with the fundamental idea that they put forward, that “tenure laws” are inconsistent with creating learning institutions that affirm the child’s right to be safe, and to effectively learn; above the right of an individual adult to be employed in that particular job category. Now this is not such a strange or radical idea that people make it out to be. Every day our “rights” are evaluated in relationship to the greater “community good”; and the rights of others in the community. We have a right to own a car, but not a right to drive without a license, insurance, recklessly or drunk; “free speech” (as we are often forced to explain to students); does not mean any speech, in any place, at any volume, and at any time. “Rights” don’t exist in isolation, they are not absolute, there are “standards”, and a “hierarchy of rights” that must be taken into consideration. Society has even gone as far (and rightfully so) to say that your right to be a parent, is not greater than your child’s right to not be abused, to not be put in physical or psychological danger, or to not be educated. And so I agree with the fundamental premise of the “no tenure” folks. My concern is that too much is being promised with the removal of teacher tenure; promises that in reality can’t be realized by this single act. Even if a school district was able to remove 15% of its lowest performing teachers (assuming we created a sound standard-rubric based system to determine such people); we would still need to effectively and efficiently improve the practice of the remaining 85%. We would need to make sure that the 85% “good practitioners” had the materials and supplies they need to do their work effectively. We would need to come up with a plan to retain these effective teachers; and also come up with a plan to recruit replacements for the 15% that were removed (at the same time that a percentage of the 85% are also retiring each year). And particularly in middle and high schools, we would need to make sure that these 85% effective teachers could work in a safe, “teaching-efficient” and productive school learning environment. This would mean adding all of the much-needed out of classroom student support systems and resources (i.e. counseling, informal education programs, academic support, etc.) to complement all of this “good teaching”. Finally, to fully support the 85% we would need to develop a strong crop of effective school building leaders (SBL). These leaders would need to have a deep knowledge of how to build a strong, positive, safe and productive school culture, knowledge of pedagogical theories, strongly literate in content standards and teaching methodology; and be fluent in theories of personnel development. These SBLs would need to function as the “Chief Instructional Coach”, and primary professional developers in the school building. My hypothesis (based on experience), is that a school can survive a lot of things; but it is almost impossible for a school to survive, and thrive under poor and ineffective leadership. A bad SBL could even undermine the best work, of the best teachers! Further, the terribly misguided and destructive approach of many of the “anti-tenure” crowd, to utilize standardized assessments to “weed out” bad teachers is just plain bad pedagogy. The role of standardized assessments is to serve as a diagnostic tool to better serve the needs of children; while at the time improve and sharpen teaching methodology. This means that the teacher evaluation process should be focused on discovering and developing talent, not “catching folks”. Therefore the “evaluation process” should be in three parts: standardized assessments, the formal and informal observations of teachers, (guess what) teaching; and the assessment of student work (product). Utilizing standardized assessments, and classroom observations as punitive tools; is to try to fix a political problem (the absence of the will on the part of politicians to declare children a “protected class”) with tools designed for student diagnostic/development purposes, and a teacher professional development tool. In education, when we use good tools for the wrong reasons; bad things happen to children and adults. The action needed must be different as the writer points out; but I would go a step further and say the plan must be “upsetting” and “disturbing” to the present state of affairs. “Nibbling” on the edges of the problem won’t get it. Things are not going well; and if so many children are not successful; then how can the professionals who serve them call themselves successful; or in our language: Proficient? The “teacher tenure” question, in my view is a professional ethics question (and the way it should be solved). If as professionals we declare that public schools are “High Reliability Organizations” (HROs); or as I also like to call them High Risk Organizations; an idea from the book: Managing the Unexpected, Sutcliffe & Weick. Although very diverse in their missions and structures; HRO’s all seem to have some fundamental organizing principles in common. In short HROs are those organization where a “failure” can lead to serious injury, great societal harm, or death; examples of these type of organizations are: Air craft carriers, Nuclear power plants, hospitals and fire departments. In these types of organizations incompetence could equal death, to either the professionals involved, or the public in general. Therefore, they necessarily recruit based on the criteria of “high competence”; and they also have an extremely low tolerance for incompetence. It is an important first step that these organizations recruit the best, and most skilled for the job description. Sincere outside stake-holders who are unpracticed, untrained and lacking in the technical professional knowledge; don’t make the personnel decisions for HRO’s. Second, there is some type of extensive internship program where after earning certification, the practitioner must further train under the watchful eye of an effective “master” veteran in the field (they never have their practitioners leave “basic training”, and then go directly into solo practice). Third, there is a great deal of constant attention to the upgrading, (and yes evaluation) and professional development of skills and competency. Fourth, since the emphasis is on competency; tenure (or right to a position) can’t be used to compromise the mission, the successful operation, the safety of the organization, the success and safety of the team, or the safety and well-being of the public it seeks to serve. Finally, these HRO’s all seem to have very powerful systems of review, monitoring, and “operational redundancy” (someone is always checking on the “checker”, so that nothing is missed); and have strong “self-evaluative-correcting procedures in place; (i.e. they honestly deal with the: “What went wrong question”. Now some of us believe that public schools fit the definitions of HROs. And if proof is needed, all one need do is to visit any state prison (and imprisoning a lot of people, is actually something we do pretty efficiently as a nation); and there you will encounter the casualties (prisoners) of a public education system that failed to capture the curiosity, talent and the natural inclination to learn that these prisoners had at a young age. There is a terrible societal price we choose to pay for so many poor educational outcomes. In an interesting and tragic way we have transformed “school failure”, into some very robust, financially rich and vibrant criminal justice-social service systems. However, I think that there is a more humane, positive and a safer path to economic development besides depending on school failure. And that is why the answer to the “tenure” question will ultimately reflect our thoughts on the ethics of professionalism, and our responsibly to the nation’s future. If public schools were declared, and designated HROs, the tenure debate would be brought into a self-determining/defining focus. A hierarchy of “rights” will be established that in all situations favor the safety and educational well-being of children. The school system would then shift from a primary mission as a “business”, and an employer of adults; to a “prime directive” to do everything within its power to do no harm to children; which means to educate them as if we all saw every school child, as our own child; as if we need every child to cure, care and comfort us as we pass on the responsibility for the planet to them. As if our future well-being as a nation depended on them; and you know something; it really does!